This short analysis had to be cut because of length from my recent article on Dr Mapa Puloka in Transcultural Psychiatry. To approach a theorization of the diversity of public reception to Dr Puloka’s strategies, I examine the only extensive challenge to Psychiatry made by the very person who had originally set in motion the use of psychiatric terms for spirit possession. The possible depoliticisation of individual’s experience implied by both defining a culture bound disorder and suggesting that much of what passes for spirit involvement is faking or underlying mental disorder, perhaps did not occur to Futa Helu when he first used psychiatric terms to serve a critical agenda of recognizing rights, agency and encouraging democratic reform. It had by the time he was invited to present at the Tongan Medical Association dinner fourteen years later. His intervention warrants an ethnographically detailed excursion into the specifics of his challenge, that also reveals the importance of humor, that I pick up in the following section. Two themes defined the conference, Mental Health in Tonga and Common Childhood Illnesses in Tonga, which took place over five days in August 1998 under the Catholic Basilika in the centre of Nuku’alofa. Dr Puloka gave key talks on ‘Psychiatry Services in Tonga’ ‘Avanga; what is it?’ ‘Mental Health Act No 18; 1992’ and ‘Mental Health in Tonga; A Final Analysis’. Woven into the programme, in which childhood illnesses seemed to take second place, were key talks given by two guest speakers, who affirmed Dr Puloka’s mandate in relation to the development of psychiatry in Tonga and its relevance and connection to wider influences in New Zealand. Dr Bridget Taumoepeau, one of the founders of the Psychiatric unit, returned to Tonga to give talks on ‘The Nuclear/Extended Family’ , ‘Cannabis and Mental Health’, ‘ Health Officer’s Training Programme: 15 years on’ and ‘Paedophilia’. 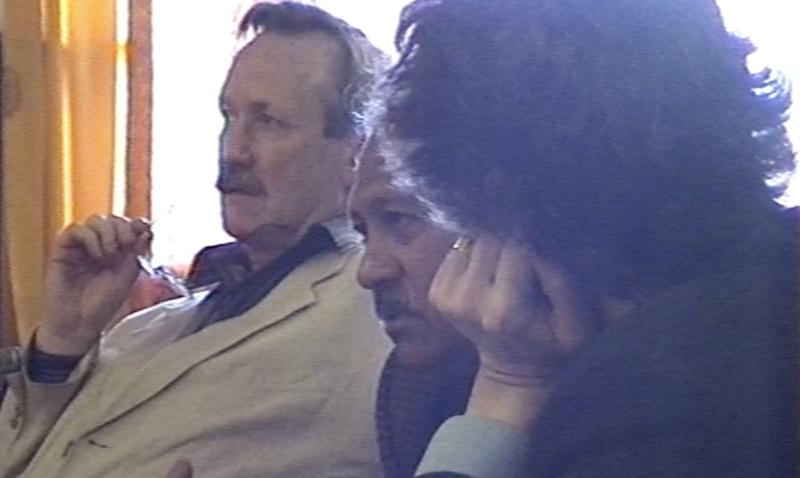 Dr David Chaplow, at the time of the conference was the straight talking Director of Regional Forensic Psychiatry Services but later went on to be the Director of Mental Health at the New Zealand Ministry of Health, in part in recognition of putting together one of the ‘ best forensic health services in the world ‘ (Du Chateau 2001). He gave talks on ‘Clinical Management of the High Risk and Dangerous Patient’ , ‘Dangerousness and Mental Health’ , ‘Court and Expert Testimony’, and ‘ Contribution of Childhood Abuse to Adult Psychopathology’. People familiar with Futa Helu’s resistance to many expatriate and particularly Peace Corps theorizations of the attribution of tēvolo to cover up childhood sexual abuse in Tonga would find the temporal link between Dr Chaplow’s final contribution on the Thursday afternoon, Dr Taumoepeau’s talk on ‘Paedophilia’ and Futa Helu’s speech later in the evening highly significant. ’ Tongan healing uses live organic herbal remedies’. ‘ I also dabble in some forms of traditional cures. Amongst the traditional healers there is also the biggest number of cranks. They are a notorious lot, fairly theatrical. They put on a haughty expression and say ‘This is my boil’. Such a generalized argument for the value of traditional healing, however, was merely the introduction to a more substantial and empirical engagement on the theme of mental illness. I have assembled and abbreviated slightly the remainder of his speech from detailed notes. ‘ I would like to reveal some information that I excluded from a paper I gave at the Harvard conference on Thinking. I have been plagued by two aspects of the recorded data that might have some relevance to theory. The first was a case of ‘avanga, a brief psychotic episode. She was a student at Atenisi who was going steady with a boy also at Atenisi. A female anthropologist came between them, she saw the guy as a lothario type character. In May of 1993 he started to see less of her’. He then read parts of the case study from his 1984 paper, ‘Thinking of a Psychotic’ , the paper that had first lent psychiatric concepts to experiences of tēvolo and relied on the spirit experience being individual to the sufferer (see Helu 1985:1999). ‘I would like to talk about extra data that I did not include in the paper. The morning after I heard that a second woman had also become hysterical, during a night when dogs and other animals had been much disturbed. In between one and two o’clock in the morning, the woman emitted a wild cry and woke up in convulsions shouting ‘The men, get these men away from me’. ‘There are two way of looking at it. Firstly, that the two events are somehow related or secondly, while temporally and spacially related they are not causally related. If we chose the first then we must conclude there is something that science hasn’t identified yet, a fifth force. If we choose the second, we would have to choose a more Freudian explanation, which I find more facile. Ultimately Explanation cannot do justice to the phenomena’. He paused and looked more intently at the audience before continuing. Dr Puloka thanked him formally for being the first Tongan to address ‘avanga in an academic way. In a clear recognition to the those present who were more attached to the universalizing claims of psychiatry, he stressed that in his own role as representative of psychiatry in Tonga he could also affirm that what Futa Helu has said could be explained within the models of DSM IV. We cannot underestimate the significance of this speech for the development of Psychiatry in Tonga and encouraging Dr Puloka’s caution of celebratory analysis, of either his success or the capacity of public mental health to banish ideas of ‘evil spirits’. In the first instance, it was act of intervention to the heart of medical practice in Tonga and its relationship to New Zealand. It was a act of preservation and celebration of interpretative freedom not only for the value of traditional healing, but for the value of Tongan theorizing not restricted or overdetermined by disciplines concerned more about mutual affirmation through, in Helu’s terms, a fetishisation of citation. If Puloka’s interventions encouraged the shift of agency from exteriorised spirit to interiority, and in the process supported the pro -democracy movement that Futa Helu had supported, Futa Helu was allowing for both possibilities through a claim for an explanation that encouraged a sense of mystery and openness. In a more practical sense, Dr Puloka’s and Futa Helu’s more private agreement of their being realms of experience, not easily explained, facilitated Dr Puloka teaching at Atenisi for eight years and putting Psychology and Psychiatry on their curriculum. This led to capacity building and the introduction of psychiatric concepts via an institution understood by the wider population to be critical of church and royalty. There was implied criticism in Futa’s speech of the psychiatrisation of experience, but it was framed in terms of the need to celebrate and remain close to the ‘special meaning’ of traditional medicine that Dr Puloka had also mentioned in his 1998 paper. In Futa Helu’s acknowledgement that he had missed something significant out was an encouragement to Psychiatry to not exclude possibilities, and preserve a sense of mystery. In one sense, by framing a genetic susceptibility to be able to see tēvolo he was anticipating, or perhaps even influenced, Dr Puloka’s later strong focus on using his extensive knowledge of the genealogies of patients in his care to carry out informal predictive public mental health promotion with their relatives. From a generalized communication of concepts to the whole population, he now had the capacity to encourage particular families with a genetic susceptibility to avoid particular precipitating factors such as drug use.